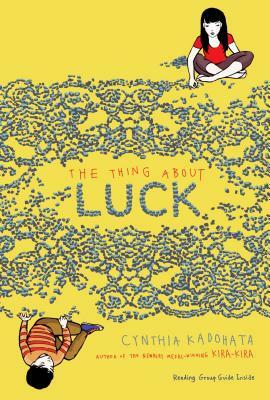 There is bad luck, good luck, and making your own luck -- which is exactly what Summer must do to save her family in this novel from Newbery Medalist Cynthia Kadohata. Summer knows that kouun means “good luck” in Japanese, and this year her family has none of it. Just when she thinks nothing else can possibly go wrong, an emergency whisks her parents away to Japan -- right before harvest season. Summer and her little brother, Jaz, are left in the care of their grandparents, who come out of retirement in order to harvest wheat and help pay the bills. The thing about Obaachan and Jiichan is that they are old-fashioned and demanding, and between helping Obaachan cook for the workers, covering for her when her back pain worsens, and worrying about her lonely little brother, Summer just barely has time to notice the attentions of their boss's cute son. But notice she does, and what begins as a welcome distraction from the hard work soon turns into a mess of its own. Having thoroughly disappointed her grandmother, Summer figures the bad luck must be finished -- but then it gets worse. And when that happens, Summer has to figure out how to change it herself, even if it means further displeasing Obaachan. Because it might be the only way to save her family.